The first cars with Android integration are expected to launch at the end of the year. GOOGLE HAS TEAMED up with a number of automakers to bring its Android platform to cars. The Open Automotive Alliance, which consists of Audi, General Motors, Honda, Hyundai and chipmaker Nvidia, will bring a specially-designed Android system to vehicles. The first cars with Android integration are expected to arrive at the end of the year. Google hopes to add more automakers to the group over time and said that it will “enthusiastically work” with any company that’s wants to integrate the service into their cars. The group has already been in touch with US government agencies like the National Highways Traffic Safety Administration (NHTSA) to ensure the new system doesn’t distract drivers while they’re on the road. 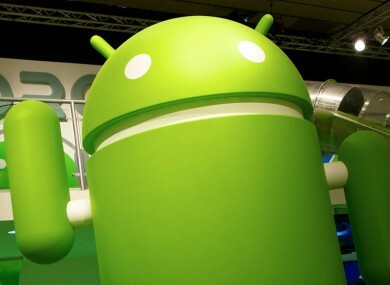 With the global auto industry expected to reach 85 million sales this year, the move gives Android another opportunity to add to the one billion smartphone and tablet activations it has. This isn’t the first time that automakers have teamed up with technology companies. Ford Motors and Microsoft teamed up to create SYNC while Apple has partnered with a number of car companies to allow for Siri integration. Email “Google teams up with automakers to bring Android to cars”. Feedback on “Google teams up with automakers to bring Android to cars”.